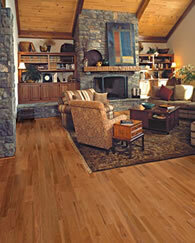 Hardwood Flooring Scheduling for Baltimore Maryland Area including Harford, Carroll, Anne Arundel and Howard County MD. When it comes time to schedule your work please sign the proposal and mail it in with a one-third deposit. For your convenience, we accept Visa, Master Card, Discover, checks and cash. Once we receive the signed proposal and deposit, we will contact you to schedule the work at a time that is agreeable to everyone. We are generally booked two weeks in advance, although that varies at different times throughout the year. When we contact you to schedule your job, we will give you an estimate as to the amount of time needed to complete your job. Please understand, though, that this is a best guess scenario due to the peculiarities inherent in the stains and finishes that are used. Some jobs may take longer than anticipated due to varying weather conditions or other unseen factors. Please do not expect our crews to be at your job site first thing every morning. Due to conditions mentioned above, we cannot determine a specific time of arrival each day. We call customers every afternoon to confirm a time range for their work the next day (we attempt to give you a narrow 2-3 hour range for the arrival time). If time is a real factor for you, you are welcome to call the office each morning for a better estimate on our arrival time (office hours begin at 8 am , although someone is often here at 7:30 am ). 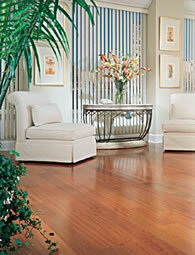 If we are supposed to apply a stain to your wood floors we need to know the exact color. If you are unsure as to the color you wish to use, please make arrangements for someone to be at your job site on the first day of the sanding process so that we may do a stain test for your approval. If this is not possible, please notify the office so that we can arrange for the test to be done at a more convenient time. Please make the proper arrangements to allow us access to your job site. This would include meeting us at the site, having someone else meet us there, leaving a door open or leaving a key in a prearranged location. We can also use a combination lock box and keep the key at your house until the job is complete. Please make sure that the office also has alternative ways to contact you in case of emergencies. Lady Baltimore would like to receive the balance payment on the day the final coat is applied. Please make arrangements to have the payment available for us to pick up on the final day. If there are any oversights or problems with the job please contact the office as soon as possible to schedule a service call. After all we are human and do occasionally make mistakes. We hope that this information has been helpful in preparing you for your upcoming job. If you have any further questions, please do not hesitate to call the office. 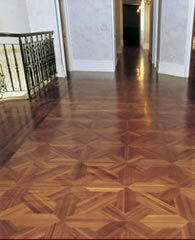 Our professional installation teams are ready to install your hardwood floor throughout the Baltimore Maryland area including Harford County, Baltimore City, Carroll County MD, Anne Arundel and Howard County.